Get your singers' attention with Quick Starts! Begin each class period or rehearsal with five minutes of creative, singer-tested activities to help focus and develop musicianship. Warm-up the body and voice with muscle movement activities, moving while you sing, and vocal exercises. 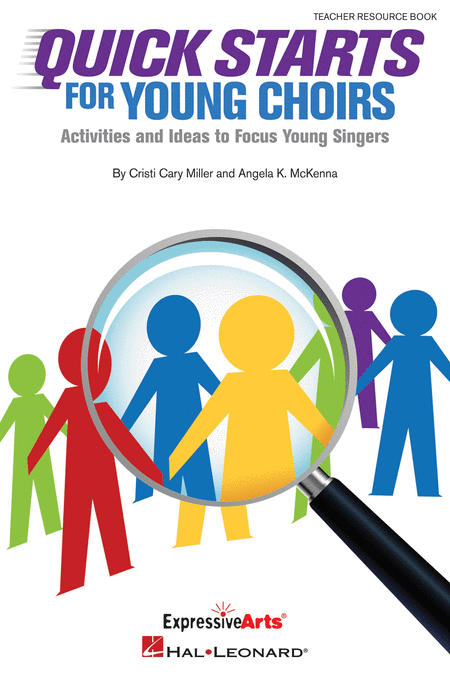 Sharpen your singers' focus with games, tension breakers and ear training. Develop music skills with sight-singing, music dictation, music writing, theory and more. As educators and directors, Cristi Miller and Angie McKenna share the ideas they have used in their classrooms and rehearsals with great success. Complete with graphics and music examples, Quick Starts will get each rehearsal off to a great start!